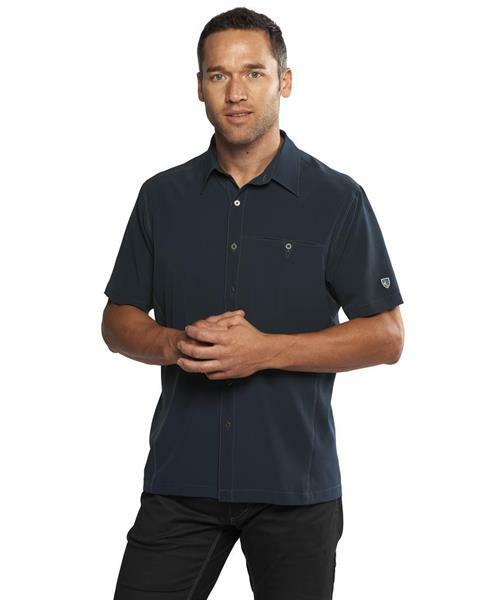 Cut from Kuhl's Lightweight Tufflex™ softshell fabric, the Kuhl Renegade Shirt features quick-dry stretch technical woven fabric to help keep you cool and wick moisture away. Quick drying and the wrinkle resistant fabric. 3d anatomical fit will keep you feeling good inside and out. Kuhl signature buttons. Left chest pocket. UPF 40.